Fantastic opportunity to own a beautiful 1 bed/1 bath loft in desirable & investor-friendly Gotham Lofts, located in prime West Loop Gate. Open, easy flow floorplan, exposed brick, hardwood flooring, & soaring 12 ft ceilings with beautiful timber beams supported by painted steel columns create a unique & interesting interior that&apos;s flooded with natural light. 920 sq ft 1-bed floorplan is the largest in the building, & features a gas fireplace & walk-out balcony. Building features exercise room, extra storage, bike racks, & common roof deck with sweeping views of the city. Superb location is as walkable as it gets & puts you in the heart of the city. 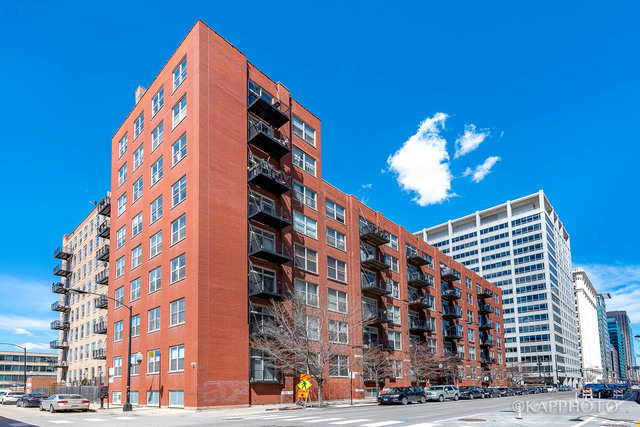 Walking distance or easy access to Union Station, I-90/94, I-290, Blue Line stop, Metra, shopping, dining, & everything the West Loop has to offer!